Civil rights leader and Emory distinguished senior scholar Rev. 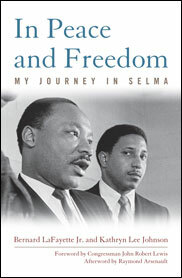 Bernard LaFayette Jr., an expert in nonviolent direct action, will discuss his new memoir at Emory University on Dec. 3. Emory Photo/Video. 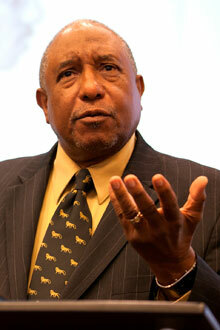 Faculty Bio: Bernard LaFayette Jr. The Rev. 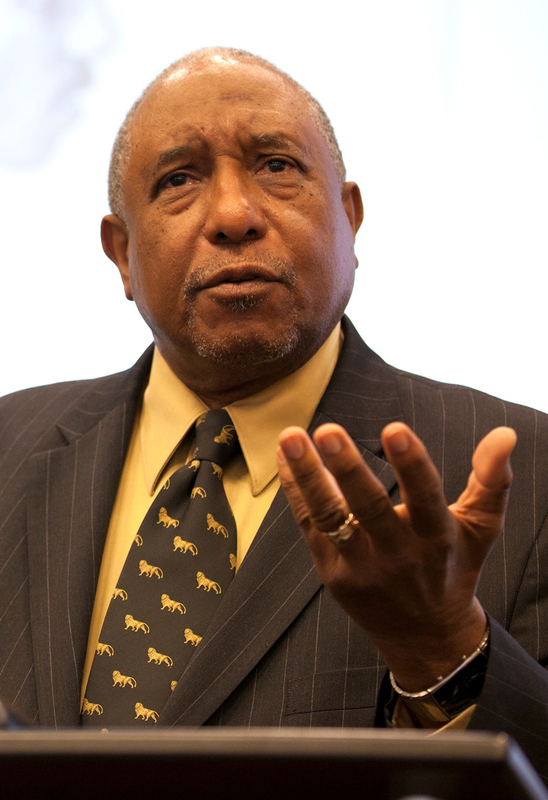 Bernard LaFayette Jr. will share his experiences on the front lines of the modern civil rights movement and discuss his new book at Emory University Tuesday, Dec. 3, at 4 p.m. in the Jones Room at the Robert W. Woodruff Library. The event is open to the public at no charge. LaFayette, distinguished senior scholar in residence at Emory University’s Candler School of Theology and national board chair for the Southern Christian Leadership Conference (SCLC), will talk about his recently published memoir written with Kathryn Lee Johnson, titled "In Peace and Freedom: My Journey in Selma" (The University Press of Kentucky). Afterward, LaFayette will sign books, which will be for sale at the event. The event follows the Nov. 21 visit by Rev. C.T. Vivian, LaFayette’s SCLC colleague who was recently awarded the Presidential Medal of Freedom. During civil rights activities in the 1960s, the two men demonstrated in marches, sit-ins and Freedom Rides, were beaten and arrested multiple times, and served time in the infamous Parchman State Farm Prison (now Mississippi State Penitentiary). LaFayette’s talk coincides with the exhibition "And the Struggle Continues: The Southern Christian Leadership Conference’s Fight for Social Change," on display in the Schatten Gallery at the Woodruff Library until Dec. 4. The materials in the exhibition are drawn from the SCLC archive housed at Emory’s Manuscript, Archives, and Rare Book Library (MARBL). Carol Anderson, associate professor of African American Studies at Emory and co-curator of "And the Struggle Continues," will host the conversation with LaFayette. His most significant contribution to the civil rights movement has been his deep understanding of nonviolent direct action and his ability to make it work in so many different communities and against varying types of oppression, Anderson says – from blatantly racist law enforcement officials ordering violence against peaceful demonstrators to "respectable" groups such as the White Citizens Council, known as the middle-class Klan to movement organizers. Anderson says during the conversation, she will ask LaFayette what his toughest moments were during the movement and how he was able to apply nonviolence in a variety of towns and situations. LaFayette and others who joined the protests during the movement went through rigorous training in nonviolent direct action, she says. "When you’re getting pounded on, your instinct is to pound back," she says. "But you know the moment you swing, everything you’ve worked for, everything you’re fighting for is just gone. It requires a strong sense of discipline. How do you bring about that discipline, particularly as you’re bringing more and more people into the movement?" An ordained Baptist minister, LaFayette is a longtime civil rights organizer and activist and an authority on nonviolent social change. Martin Luther King Jr. appointed him as the SCLC’s national program director in 1967, and he oversaw the Poor People’s Campaign, launched in 1968. He was one of the primary organizers of the 1965 Selma voting rights movement and the Selma to Montgomery marches. While he was a student at American Baptist Theological Seminary in Nashville in the late 1950s, LaFayette trained in nonviolent methods along with his roommate, John Lewis (now a U.S. congressman for Georgia), and they and their friends began organizing sit-ins at segregated restaurants and businesses. In 1960, LaFayette co-founded the Student Nonviolent Coordinating Committee (SNCC), a coalition of student groups in Southern states that organized sit-ins at lunch counters, public swimming pools and movie theaters. LaFayette also participated in Freedom Rides on buses from Nashville to Selma that were met with violent crowds who attacked and beat the riders. He organized voter registration projects in Alabama and Mississippi that were often beset by violence, and he survived an assassination plot in 1963 on the night Medgar Evers was killed. "He was a stalwart activist in the movement, and he’s a very important figure in civil rights history," says Randall K. Burkett, curator of MARBL’s African American Collections. "It’s a privilege to have him on our faculty, for our students to learn from someone who was right there from the beginning and who continues the work in peaceful conflict resolution around the world."